Meesappulimala, one of the highest peaks in South India , is near to the famous hill station Munnar in Kerala. Infact, this tourism spot was not a well known place to many. This mesmerizing paradise of nature is slowly getting popular among ardent trekkers. One can find Meesappulimala as a destination for the highly adventurous. Meesappulimala as the second highest peak in the Western Ghats after Anamudi, one can have a memorable trekking experience. 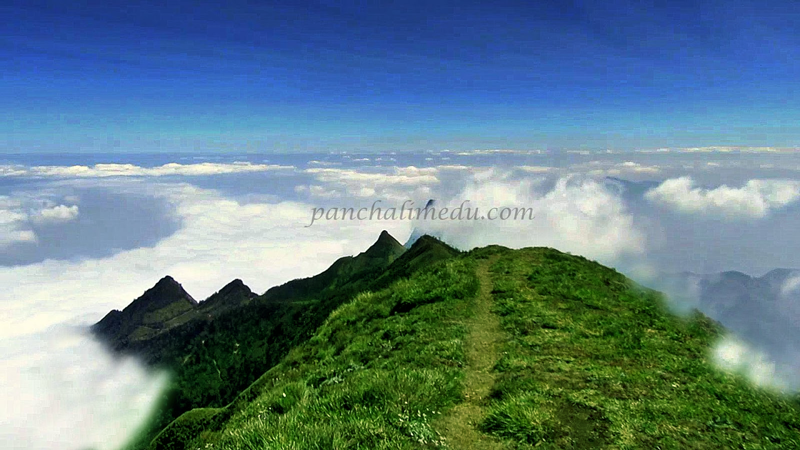 While trekking you will feel that you are walking with the clouds. Meesappulimala is a must go place for all trekking enthusiasts. A place to have memorable moments and most enjoyable time in your life. When you go to this hill station, you need to cross seven hills and traverse many wild brooks. The sight of Meesappulimala after crossing the seventh hill, resembles the face of a tiger. So the name of the hill station comes from the shape of the hills. The sight from the top of the Messapulimala hills is worth the effort taken to climb it. You cannot get anymore close to the drifting clouds. Since the rocky hill station is situated at the Tamil Nadu border, you will get a beautiful view of Kodaikanal hills and Yellapatti village far below. All of you know the know the most beautiful place in Kerala; Munnar, Maryoor. From Munnar, you have to travel 24 kms to reach the base camp of Meesappulimala. From base camp travel 4 kms to the Rhodo valley Munnar, till where the vehicles will come. In Rhodo valley, we can find a cave which is called ‘Pandava Cave’. It is believed that the Pandavas stayed in this cave, during their exile. A day’s stay in Rhodo valley will energise you to treck with full enthusiasm. You can stay in tent houses, which is provided by the The Kerala Forest Development Corporation (KFDC). From Rhodo valley, the real enjoyment of trekking starts. On the way to Meesappulimala, we have to cross many streams. Waterfalls on the way, gives a fresh feeling for both mind and body. Enjoying the music of birds, the whistling sound of the Pine trees and the rhythm of the streams on the way to your destination. You may get chance to see wild animals on your way. At the peek of Meesappulimala, you can feel the gentle touch of the clouds, a never before experience of your life. You hae reached at an altitude of 8,661 feet from the sea level. Look around the have a panoramic view of Anamudi, the highest peak in the Western Ghats the Mattupetty and Anayirangal reservoirs, and the neighbouring state Tamilnadu. Enjoy trekking, watch the nature, the verities of flowers, trees, birds and butterflies, the music of the nature, the freshness of the nature. Make your minds fresh and relaxed. Enjoy the nature fully as a trekking enthusiast.